An ongoing deal via Amazon for the OUKITEL smart socket is going to let you get a pack of two dual sockets for less than what you might expect to pay for a high-end “premium” brand. 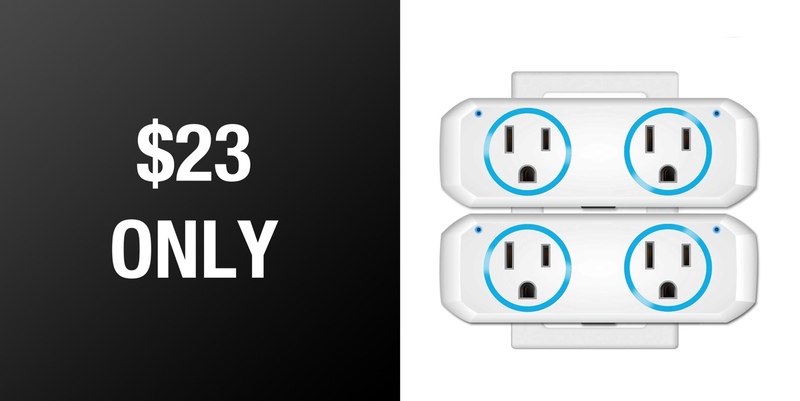 For just $23.02 you can pick up this 2-pack of sockets, right now! Smart switches and sockets are starting to grow in popularity, largely off the back of home-owners adopting intelligent lighting solutions throughout their properties. 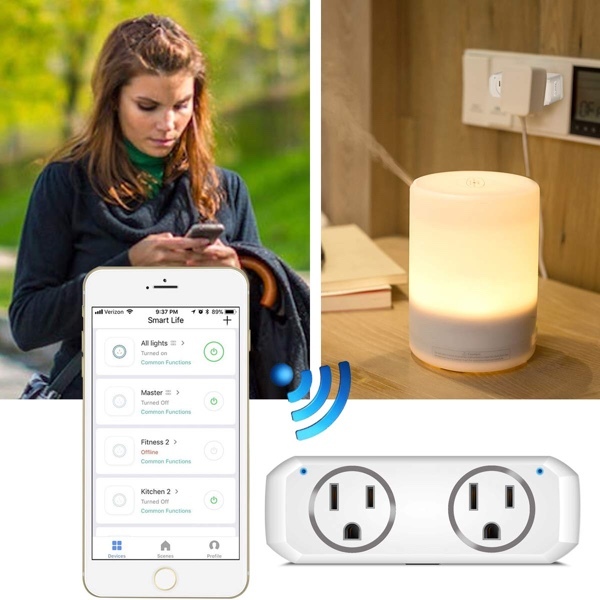 The path toward mass home automation has been paved by companies like Philips and Koogeek pushing out great lighting solutions now it seems like it is the turn of the smart socket to get in on that action. And it makes perfect sense as every single one of us uses sockets in our home and could probably think of an appliance or product that we have which could benefit from this smart access. With this product, you are going to get a 2-pack of dual sockets that will take a single wall-based outlet and turn it into two intelligent sockets that can be independently controlled. The 2-in-1 socket has a maximum load of 10A and comes with a miniature and very compact design that isn’t going to immediately demand a lot of space when it’s plugged into your existing socket. The product is also capable of intelligently distributing the current when both products are working at the same time. One of the biggest positives and appealing characteristics of this product is the fact that it can be controlled from anywhere. Like most WiFi-enabled smart devices, the OUKITEL sockets are connected to the internet and can be accessed and controlled directly from a mobile app anywhere in the world. The hardware also offers support for Assistant and Alexa meaning that you could be on the other side of the world and still turn off the microwave with a single tap of a button or one clear verbal command. This is the type of hardware that is designed to offer convenience and maximum efficiency. If this is something that you have been looking at bringing into your home then grab it right now while this offer is still in play.